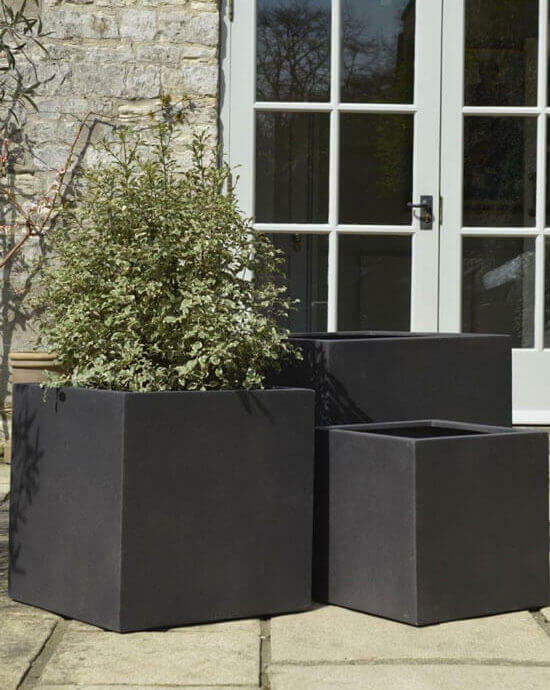 IOTA’s Moscow GRC Cube planters is made in top quality fibreglass and cement which is extremely robust and completely weatherproof, while being light enough to be handled easily. The ‘Espresso’ colour is black with the faintest hint of brown (noticeable really only in sunlight) which sets off leaf-green foliage particularly well. IOTA offers a wide range of GRC planters. 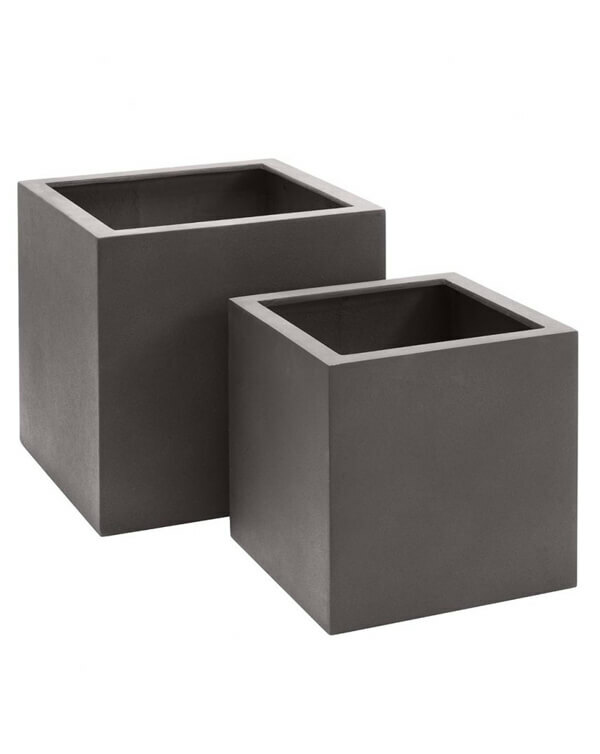 Our Moscow GRC cube planters are made of high quality fiberglass and cement which are completely weatherproof. 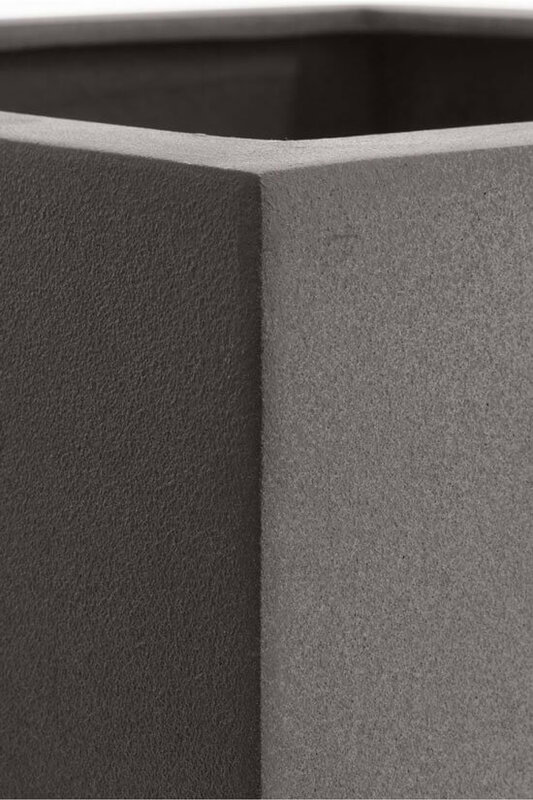 Compared to precast concrete planters, Moscow is much lighter making in a great option for commercial and local development projects. 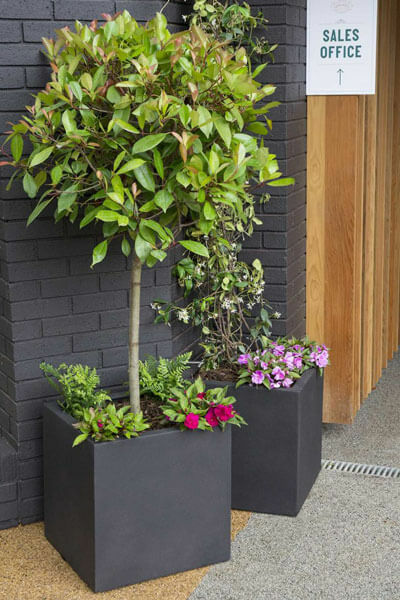 Available in 3 different sizes, this range can accommodate different planting options. Our 40cm and 50cm cubes are very practical sizes for most gardens; large enough for lots of different planting options without dominating the space. They look very smart by a doorway, or repeated along the edge of a terrace. Our 60cm cube is a very popular size and gives plenty of root room for larger plants. Click here to check our Moscow GRC Planters.